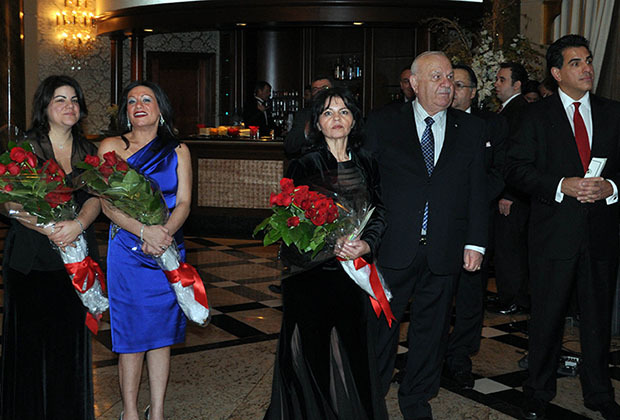 Alex Alexandris, one of Pangregorian’s founding fathers, was the honoree at the 28th Annual Ball of P.G.E.I. (Pan Gregorian Enterprises inc.) of America Charitable Foundation, which was held at The Venetian earlier this month. 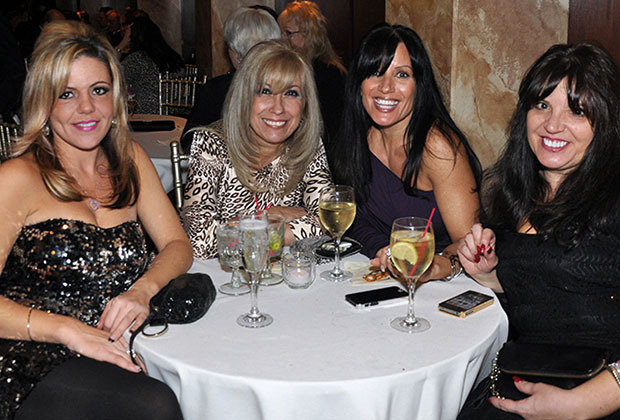 Traditionally the event takes place in late November, but it had to be rescheduled this time due to Hurricane “Sandy” and the devastation it brought to New Jersey, where the organization and its members are based. 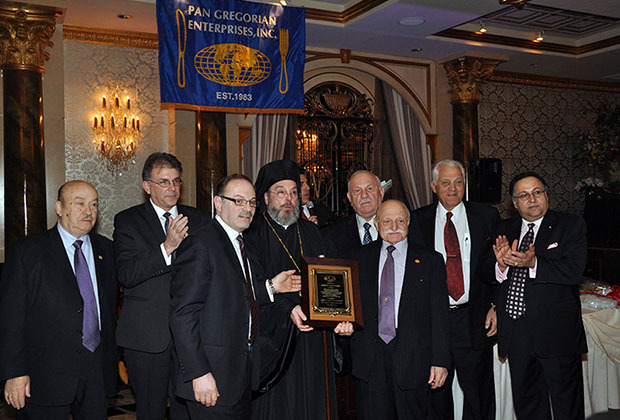 Pangregorian President George Siamboulis introduced the honoree, a man, as he said, who “worked tirelessly for the common interest of his colleagues and to help those in need.” Mr. Alexandris is one of the original members of the Board of Directors and for many years he served on the Board of the Charitable Foundation as well. He came to the US in 1960 without any money and without speaking a word of English and yet three years later he had his own restaurant! In 1974 Alex Alexandris with his close friend Steve Siderias bought the River Edge Diner in New Jersey which they developed and expanded to the landmark establishment it has become ever since. He is a proud father of three daughters and a grandfather of four. 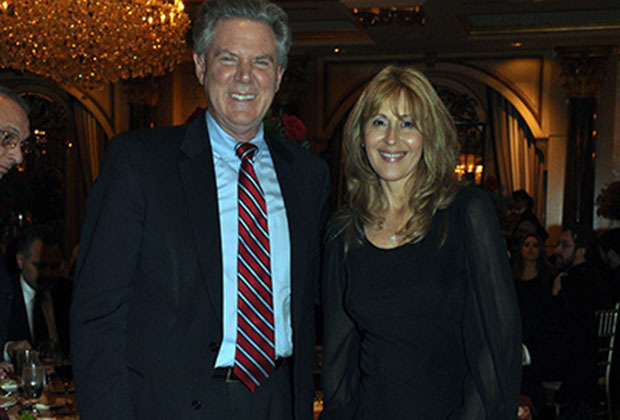 US Congressman and a great friend of the Greek American community Frank Pallone offered Mr. Alexandris a congressional recognition for his service to society through his profession and charitable activities. 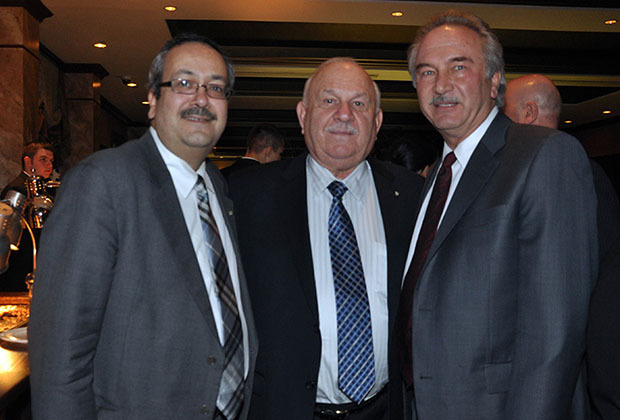 The Charitable Foundation was established in 1987 as the philanthropic arm of Pan Gregorian Enterprises, Inc. and has eased the suffering of children with serious diseases. The organization’s charitable activities express the gratitude of the membership to their patrons and general public for supporting their diners and restaurants. 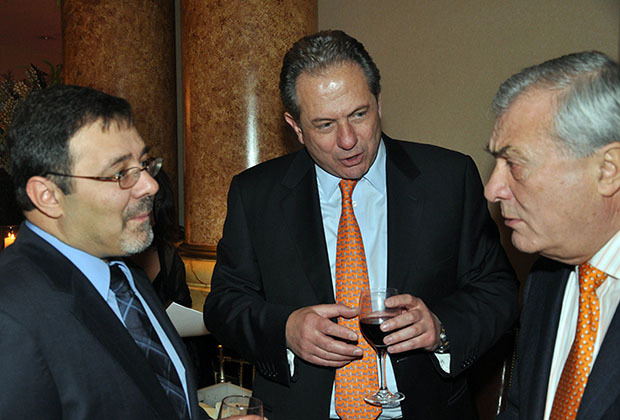 At this event alone, the Foundation offered almost $100,000 in donations: $50,000 for the Hurricane “Sandy” victims, $10,000 to the Greek Orthodox Metropolis of New Jersey, $5,000 to Cyprus Children Fund, $5,000 to the Elytis Chair at Rutgers University, $5,000 to St. Basil’s Academy and $5,000 to the Educational Fund of the New Jersey Restaurant Association. 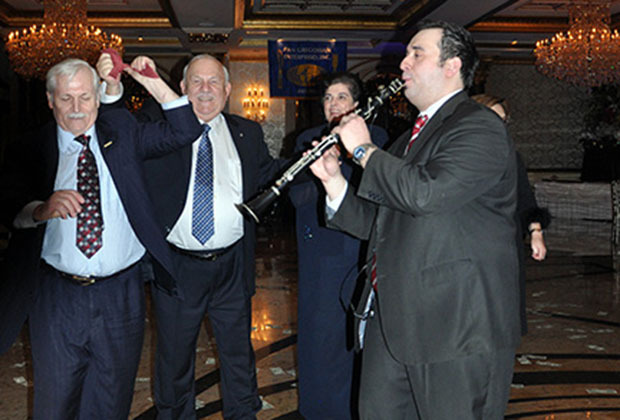 Consul General of Greece Georgios Iliopoulos addressed the event and thanked the Pangregorians for their contribution to the American Hellenism and Middlesex County Freeholder H. James Polos, himself a son of a restaurateur, was the Master of Ceremonies. 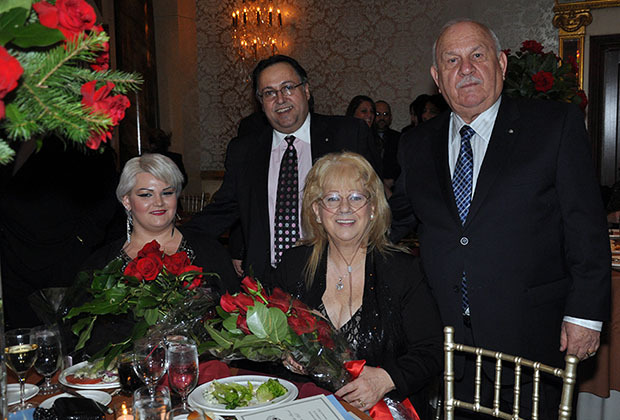 Metropolitan Bishop Evangelos of New Jersey offered the Invocation and welcomed members and guests alike to an evening of joy, friendship and philanthropy. 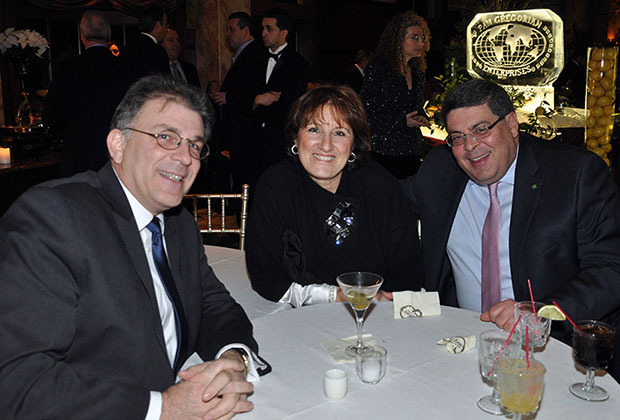 Pan Gregorian Enterprises, Inc. (PGE) is a Food service Cooperative which was formed by Greek American restaurant owners. PGE began in New Jersey, but with success, the concept quickly expanded to Metro New York & Long Island, Upper New York and Connecticut.